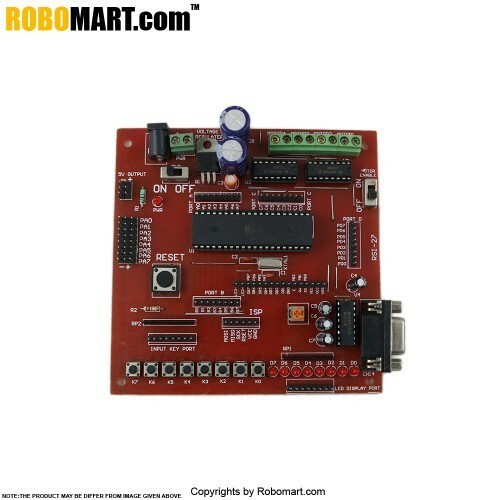 The Atmega-16/32 Robotics Development Board V 1.0 is a multipurpose powerful development platform based on High performance, Low Power AVR series 8 bit microcontroller for the AVR Atmega16/32/8535 microcontrollers. This board can used by both beginner and designer to do yourself as a startup kit and this kit having on board I/O interfacing devices by which the designer will be able to work easily as a Do-It-Yourself (DIY) with the AVR Microcontroller. 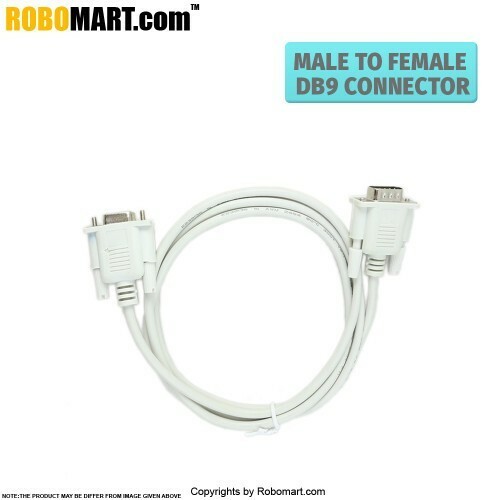 Programming of Flash, EEPROM, Fuses, and Lock Bits through the JTAG Interface. 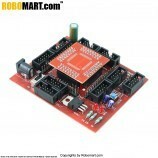 Operating voltage from 5.0V - 25 V.
1xOn board ATmega 16 Microcontroller. 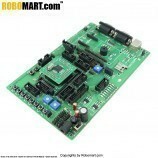 2xOn board L293D motor driver. 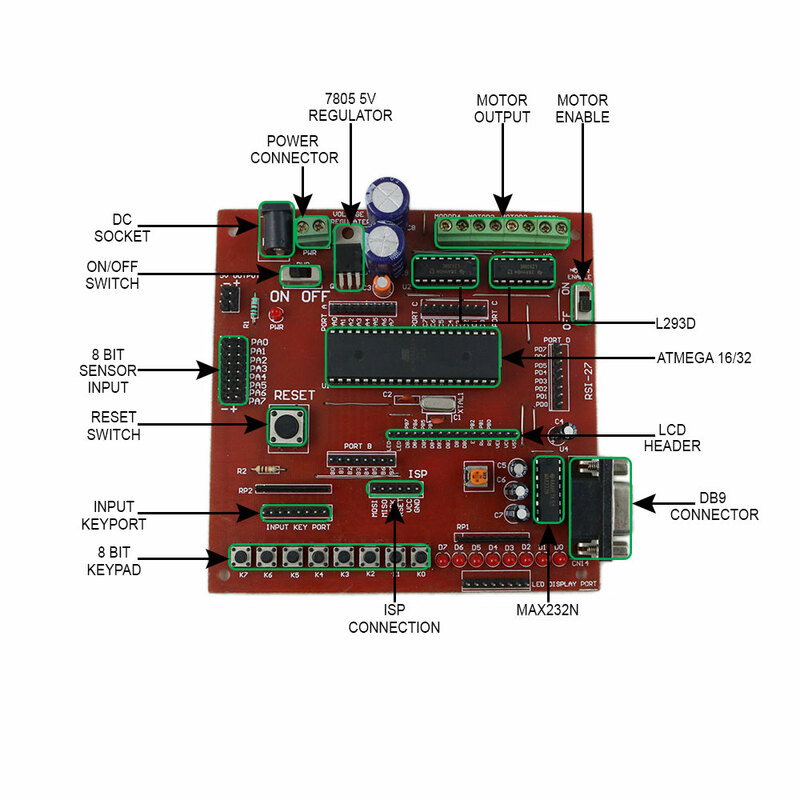 1xOn board dc power supply. 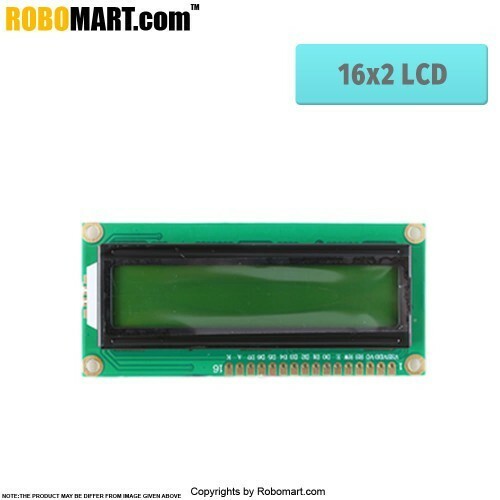 1xOn board 8 bit LED display. 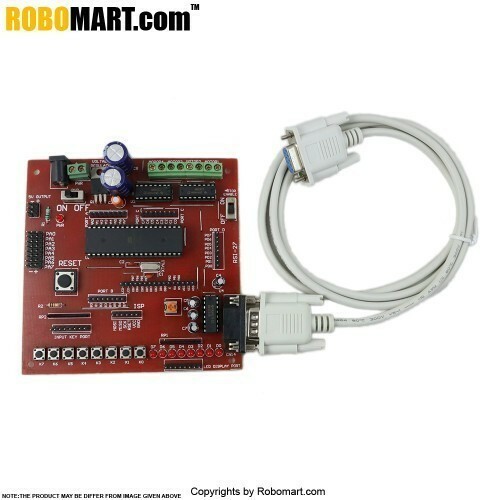 1xOn board I2C, SPI, USART port. CAN Based accident avoidance robot. External Memory interfacing using I2C. 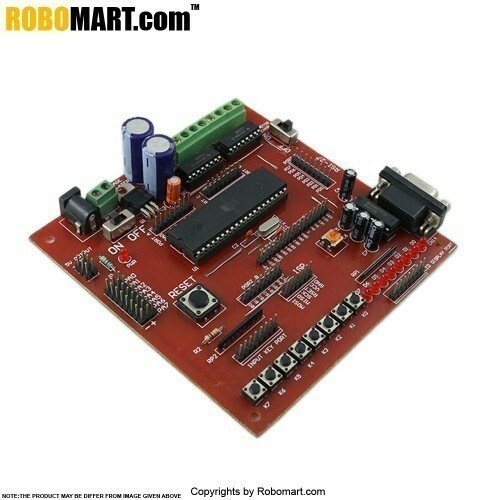 1 x Atmega-16/32 Robotics Development Board v 1.0 (ATmega 16). 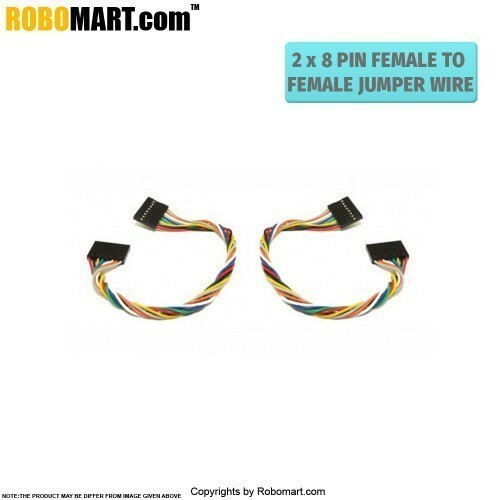 2 x 8 Pin Female to Female Jumper Wire. 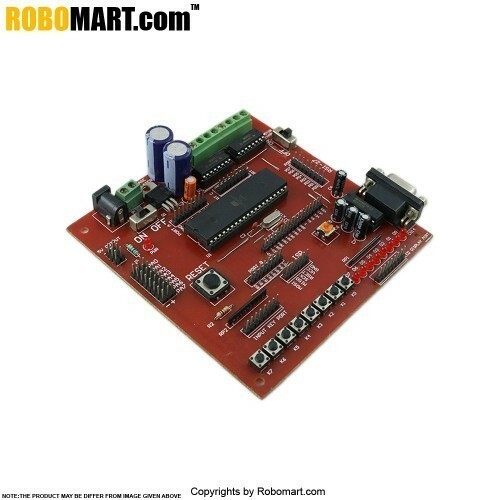 Also Searched as: atmega-16/32 robotics development board 1.0 avr, atmega16 32 development board, robotics development board india.